Generation Cures, produced by FableVision Studios, is the world's first "caring and curing" website and family resource. Children's Hospital Trust approached FableVision with a challenge: create a philanthropy campaign for childhood-related medical research and care, and center it on tweens. Generation Cures is that solution. Working closely with doctors and medical staff, FableVision developed a ground-breaking approach to motivate tweens to care about and help other children through entertainment, story, and gaming. 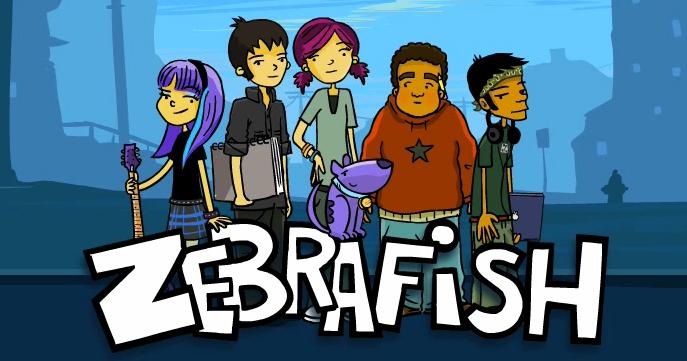 The transmedia property began with Zebrafish, a series of animated webisodes. Zebrafish tells the story of a group of a motley crew of teenagers who form a band. The teens discover how they can change their community and the lives of others. Zebrafish teaches kids about their power to help others and encourages action. The webisodes were also adapted for a graphic novel series.